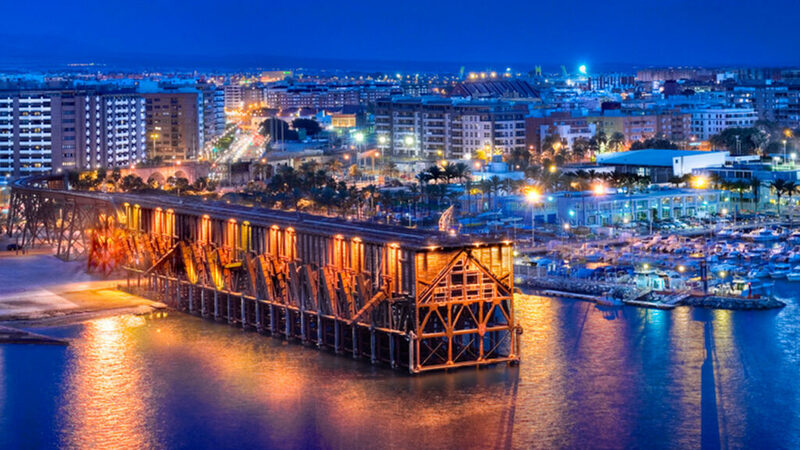 The mineral loading, called “English Cable”, is located in the Playa de las Almadrabillas, dockside lift and the terminal of a branch of the railway. It was originally owned by British mining company “The Alquife Mines Railway Limited” (hence its name), which won the concession in 1901, immediately undertaking the construction in 1902. It is an example and a masterpiece of iron architecture of the early twentieth century. 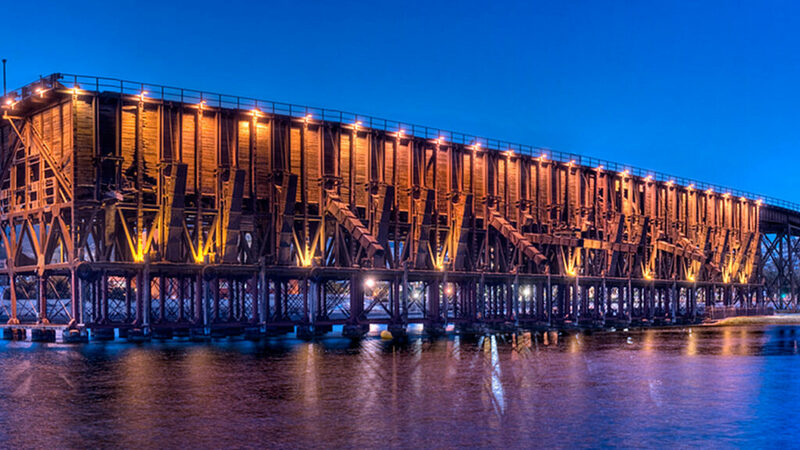 Its construction is possible due to the construction of the port and railway, moving its construction in the current eclectic but introducing a new architectural language characterized by the use of new materials, such as iron. Its surroundings form the beach and a bridge link with the railway station. 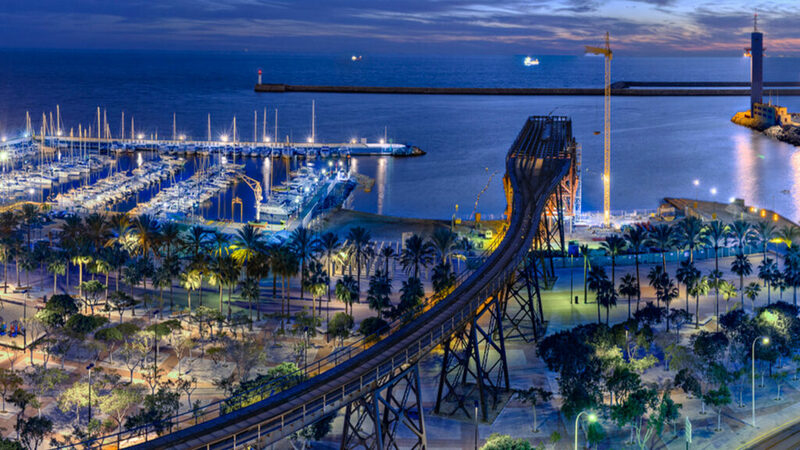 It consists of two parts: access linking the railway station with the landing, and the pier itself through which the trains could unload directly into the hold of the ships. Your access begins at the terminal of the railway, whose middle section rests in large arches on pillars of stone, separated by metal sections based on large iron beams. In 1998 he was declared of cultural interest for its historical, symbolic and aesthetic values. Address: Playa de las Almadrabillas, s / n. 04001 Almería.